Let the Fun Times Begin with Fun and Easy Online! 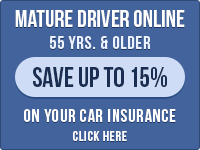 Learn the safe-driving skills you need to be a great driver. Our DMV-licensed online traffic safety school makes learning the skills you need to become a savvy, defensive driver simple and affordable. The easy-to-read curriculum saves you money by helping you to avoid collisions and citations once you're back on the road! Our hilarious curriculum was designed to have you laughing while you learn. Colorful illustrations and fun video clips explain the safe-driving tips you need to know to avoid another fender bender. Meet your traffic safety school obligation faster by completing our mobile-friendly online course. Log in and log out when it's convenient for you. If you have a smartphone, tablet, or other Web-enabled device, even better! Take our mobile-friendly online course on-the-go—just not behind the wheel. With our fun safe-driving tips, you'll be back in the driver's seat in no time! Our dedicated support staff is waiting to answer any questions you might have about how our courses work. Want a Few More Reasons to Let the Fun Times Begin? Being pulled over for a traffic violation is no fun. In fact, it's downright crummy. Not only can you expect to pay a fine, as well as see a possible spike in your insurance premium. Fortunately, you can mask that point from your record — and save money on your insurance premium — with our great defensive driving program. But, don't worry! This isn't your grandfather's traffic education course! Our online traffic safety school makes meeting your traffic school obligation fun and easy! The curriculum is simple and the driving-related jokes will have you laughing while you learn. Call now to enroll! Our dedicated support team is standing by! 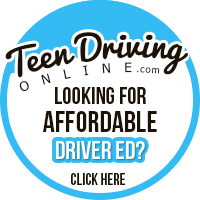 Learn the safe-driving skills you need to become a safe driver! Pass the final exam, and then leave the rest up to us!